Click on Search - the magnifying glass at the top of the screen. 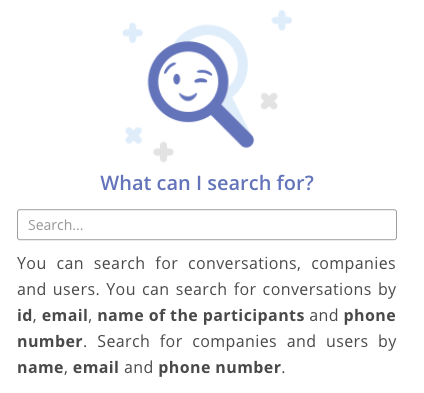 You can search for conversations, companies and users. You can search for conversations by email, name of the participants, conversation ID and phone number. Search for companies and users by name, email and phone number.